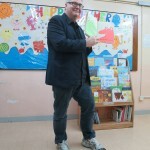 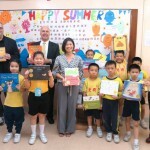 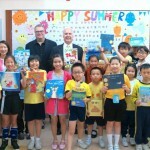 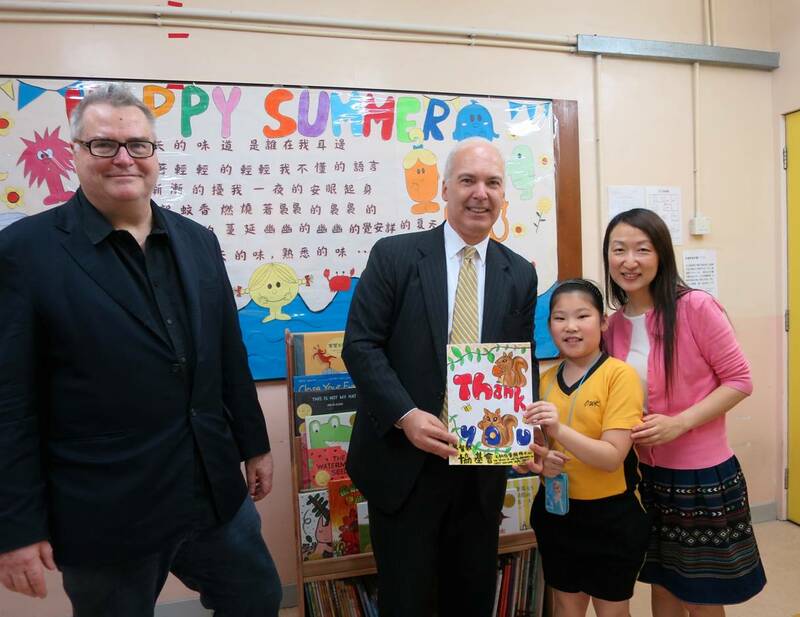 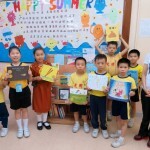 SOPA and “Bring Me A Book” Rededicate Children’s Library in Yuen Long. 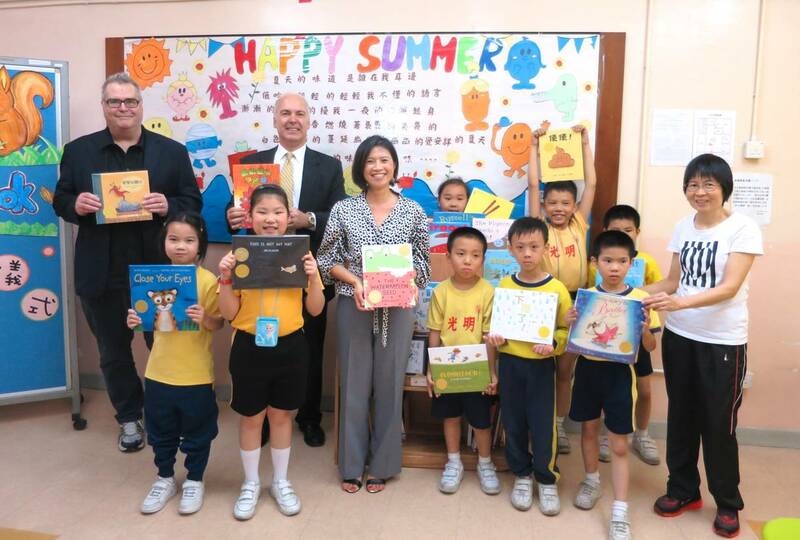 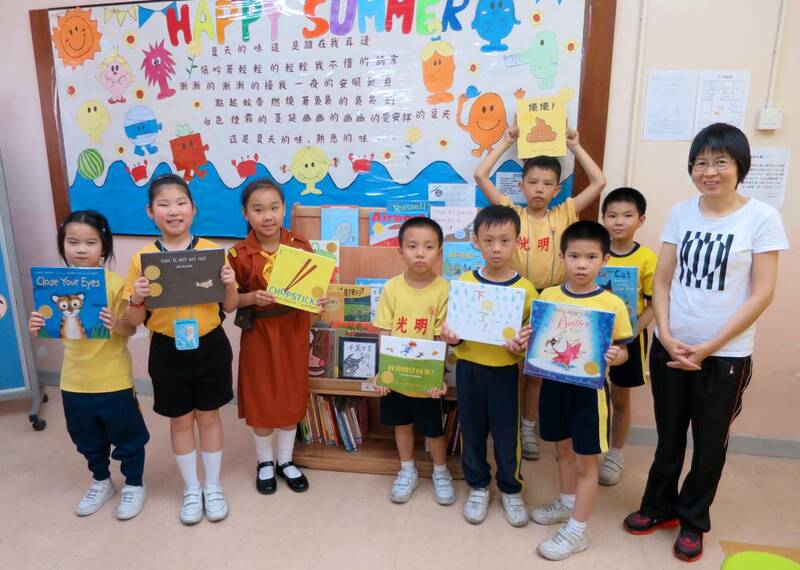 The Society of Publishers in Asia donated a new set of Chinese and English books to children at the Yuen Long Social Service Centre on Friday, April 24, 2015. 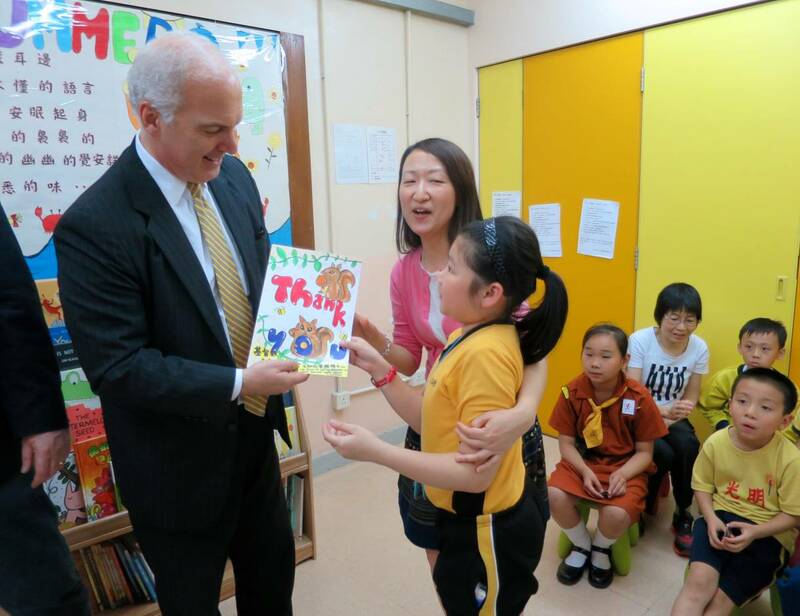 This re-dedication of the children’s library reflects SOPA’s continuing commitment to improving literacy in Asia. 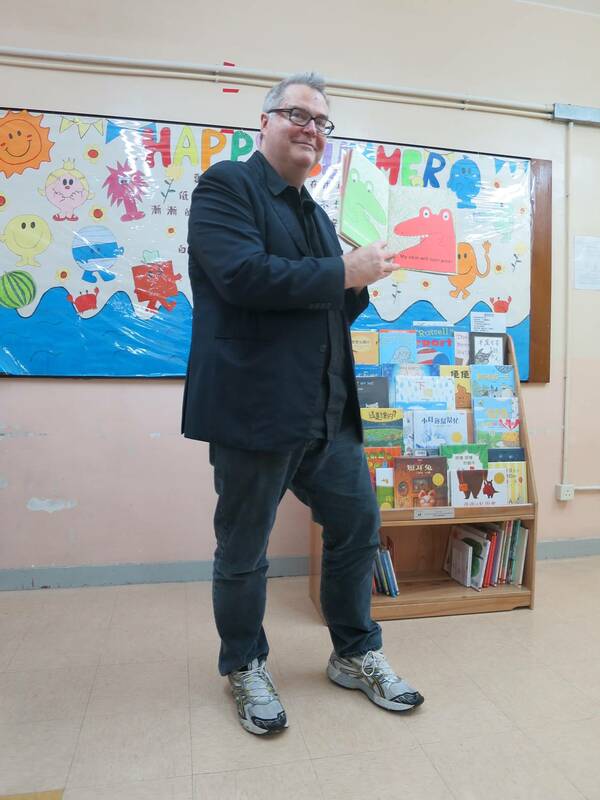 The joint SOPA – Bring Me A Book event was well attended by the local community and enthusiastically supported by a throng of smiling children. 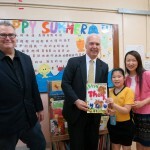 Several on hand had participated in the original dedication ceremony at the Yuen Long Social Service Centre, three years earlier. 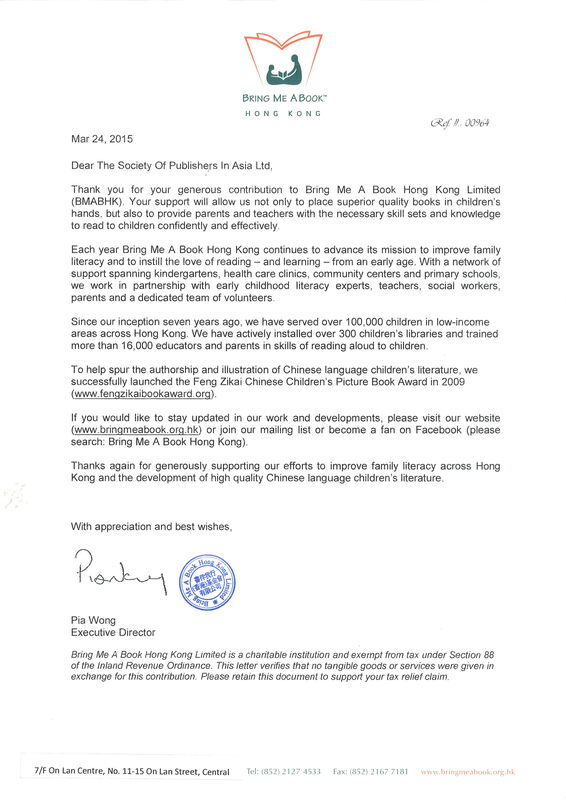 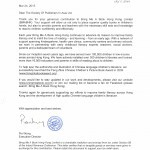 https://www.sopasia.com/2012/07/sopa-sponsors-bring-me-a-book-foundation/ All in attendance were very appreciative of the rededication of the library that now offers an expanded array of new book titles for the children.